Find a Christmas & New Year trip that explores Phong Nha National Park. There are 27 tours to choose from, that range in length from 6 days up to 24 days. The most popular month for these tours is July, which has the most tour departures. "Bo is a fantastic tour guide, giving us in-depth information on the places we visited..."
"I really enjoyed this tour, it was one of the best tours I have ever done. The guide..."
"Hoi An Express is a very professional and reliable tour company. I would highly recommend..."
"WOW! I have just returned from one of the best trips I have ever taken. 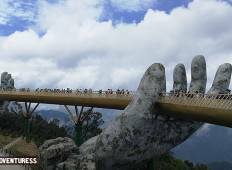 My group..."
"This pass has got to be the easiest way there is to enjoy Vietnam. My guide, Vu,..."
"Stray tour was awesome. The hotels were convenient and comfortable." 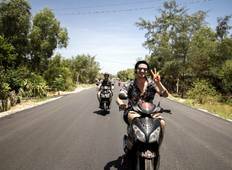 "This tour was a FANTASTIC way to cover a lot of Vietnam! 99% of the Guides we had..."
"Absolutely loved Ciara as a tour guide, she made the whole experience amazing and..."